He says he is the most successful person ever to run for the presidency. He may not be the subject matter expert when it comes to politics or leading a country, but the 69-year-old Republican presidential candidate got support from a small portion of American population. Donald Trump has been a subject of strong criticism because of his anti-immigration and anti-Muslim stance. 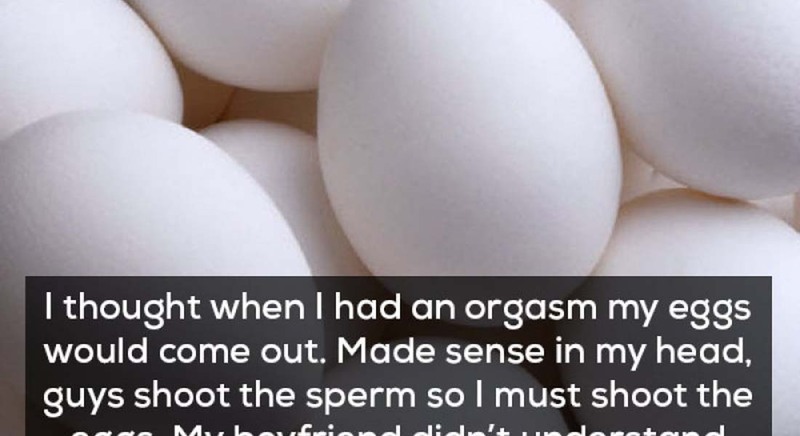 Here are fifteen hilarious tweets about Trump, as tweeted by common people as well as by some celebs. That tweet is funny, but Trump himself proved that his hair is original on more than one occasion! As a wife of a billionaire and a presidential candidate, it's impossible for her to stay out of the limelight. 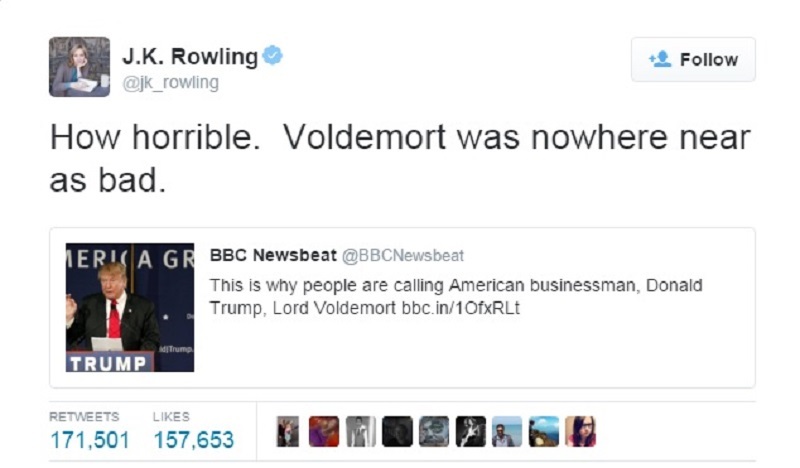 After people had started comparing Donald Trump with Voldemort, J K Rowling tweeted this to tell all Harry Potter fans that Voldemort was not as bad as him.